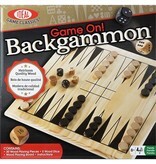 Children gain a life long skill when they learn to play backgammon. 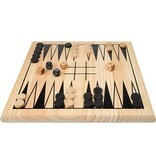 This all-wood set includes a handcrafted wood game board and can be passed on as a family heirloom. 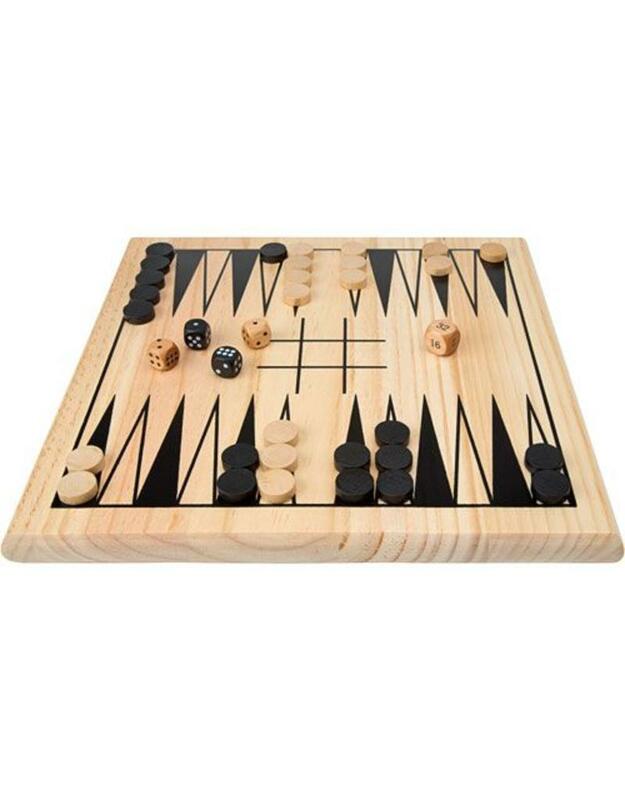 The object of the game is to remove all of your playing pieces from the board before your opponent. 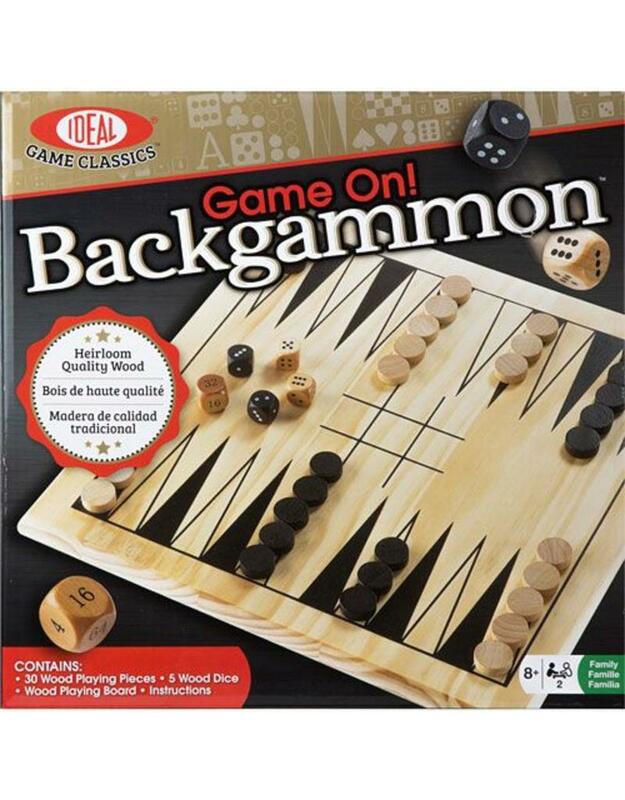 Includes 15 dark wood playing pieces, 15 light wood playing pieces, 5 wood dice, wood game board, instruction sheet. For ages 8 and up.